reform its approach to wildfire management. The California Department of Forestry and Fire Prevention, known as Cal Fire, bears primary responsibility for fire prevention and suppression on more than 31 million acres of California land that is privately owned, state owned, watershed, and rangeland—about one-third of the state. The U.S. Forest Service handles these duties on federal land. Cal Fire’s $2.2 billion budget has increased 45 percent since fiscal year 2014-15, but 80 percent or more of its budget typically goes to fire suppression, not prevention. Cal Fire is also a “first responder” to car accidents and similar incidents more than 350,000 times a year, a diversion from critical fire-prevention efforts. Cal Fire’s fire-prevention fund, which pays for reducing hazardous fuels such as dead trees and vegetation, and provides fire-prevention education and planning, has decreased in recent years, with grants to local fire-prevention efforts declining. Cal Fire’s increasing neglect of prevention services has been disastrous, and reflects perverse incentives. Fire managers face strong incentives to emphasize suppression, where budgets are larger and risks are lower. Suppressing wildfires is more heroic than clearing brush, chopping dead trees, creating containment lines, and conducting “controlled burns.” Poor prevention spending also plagues the U.S. Forest Service. A 2016 report by the U.S. Department of Agriculture inspector general found that the Forest Service “lacks a consistent, cross-agency process for selecting its highest priority hazardous fuels reduction projects for completion.” Local concerns are often ignored. 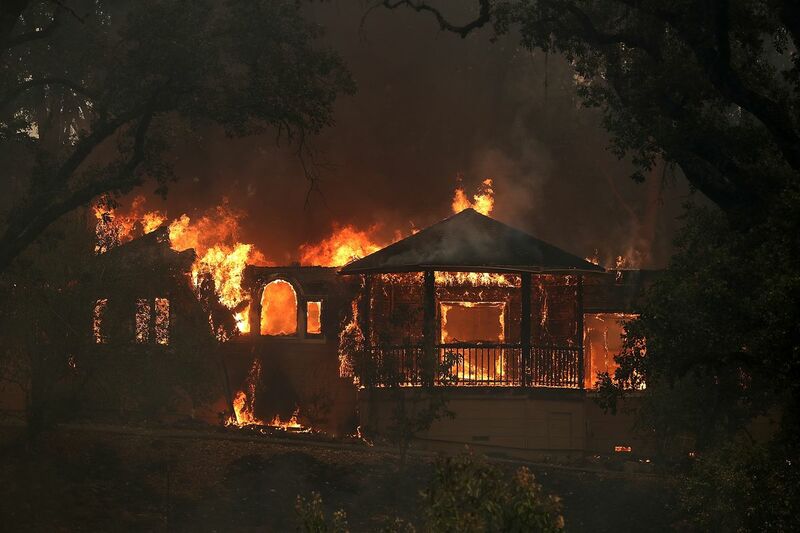 In vulnerable areas, failure to spend the money shortchanged local projects such as removal of “flammable vegetation and dead trees from around the homes of low-income senior citizens and disabled residents” in Nevada County. Perhaps worse, the state fees prevented some local communities from independently raising money for their own much needed prevention efforts. Privatization of public land would encourage proper stewardship and entrepreneurial approaches to fuel reduction, such as greater harvesting of dead trees for wood products, and greater use of high-tech drones, cameras and sensors. Drones equipped with special cameras and lasers can locate andmap high-fuel areas, covering the forest canopy to the forest floor. They also can detect smoke and heat of a fire at its earliest stages, day or night, in remote locations or heavily populated areas. Privatization would realign incentives for optimal fire prevention, something that government “absentee owners” lack. Local communities have lost too much self-determination. As recent catastrophes show, it’s time to empower local fire districts and private landowners to direct prevention efforts year-round, and increase their own proactive capabilities. This would establish proper priorities and stricter accountability, and ensure greater efforts to protect the public. So its the old get what you deserve reap what you sow scenario for California ... as it always has been since forever. Damn that hard work clearing grass and brush, thinning forested areas and doing controlled burns and vegetation clearing. We will just let insurance not cover it and people die.